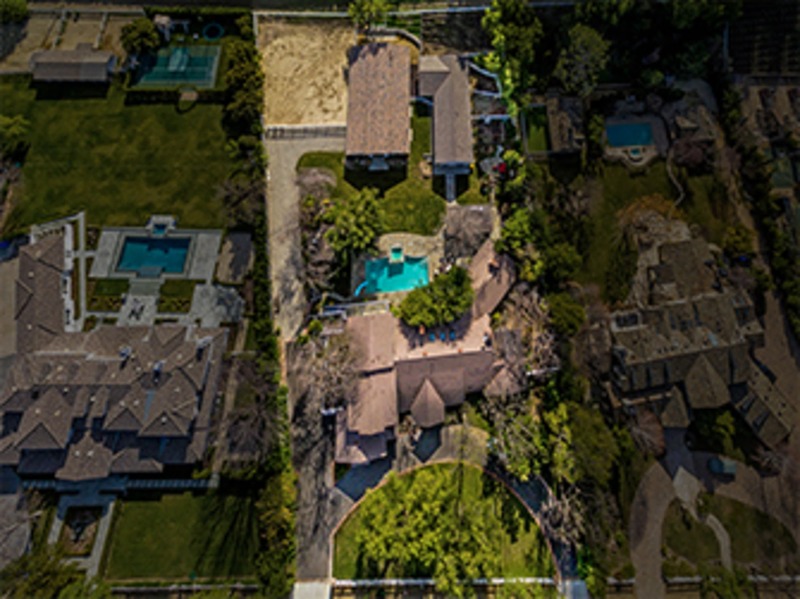 Rare beautiful flat 1.5 acre property alongside Hidden Hills most opulent homes. Idyllically set behind a sweeping circular tree lined driveway sits this 6 bed, 6.5 bath ranch style home. Gourmet kitchen with 2 center islands, 2 Miele dishwashers, Subzero, Thermador 6 burner grill and built-in breakfast nook. 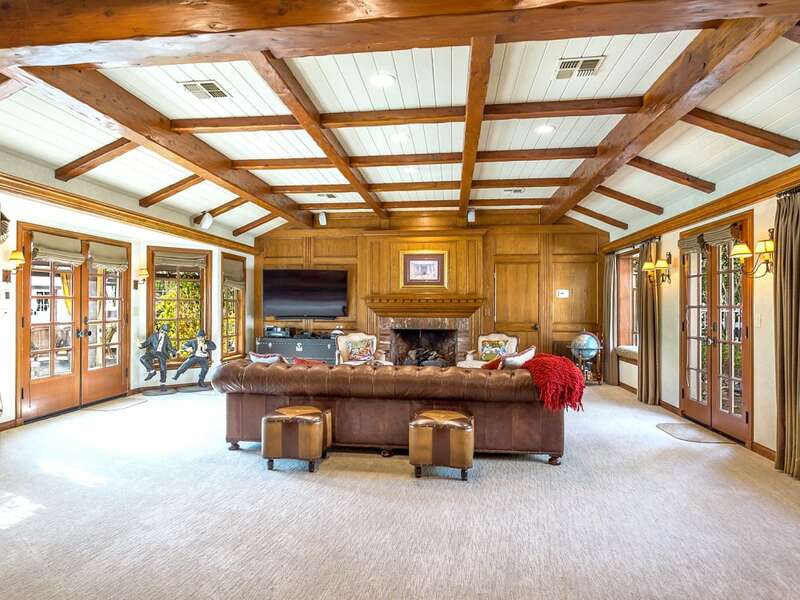 Banquet sized formal dining room & family room highlighted w/exposed beamed ceiling, wood flooring & custom fireplace. Upgraded downstairs master retreat offers sitting room, fireplace, over sized walk-in closet & marble floored bathroom w/Jacuzzi tub. Separate mother-in-law suite & additional bedrooms downstairs as well as 2 additional secondary bedrooms upstairs. Private backyard offers covered pergola's, outdoor BBQ center, custom fireplace, sparkling pool & spa. Additional features include detached 2-story guesthouse, 2-stall barn, tack & feed rooms, turnouts & pasture. Custom newly constructed 3500 sq ft 12-car showroom complete this truly one-of-a-kind entertainers property.